Heighten the coffee drinking experience for your customers, and sweeten any beverage with this flavored non-dairy powdered coffee creamer! It makes a perfect addition to any self-serve coffee station in your lobby, reception area, hotel breakfast bar, or employee break room. Easy to use, this shaker-style canister ensures consistent pouring for your popular hot drinks. Additionally, this economic creamer will save you money without sacrificing quality! Add a smooth and creamy taste to any hot beverage with this flavored coffee creamer shaker. Since it is a non-dairy, powdered formula, it is especially great for areas with limited refrigeration. The shelf-stable shaker canister has a longer shelf life than milk and reduces costs due to spoilage. You can save on sugar costs, since this flavored creamer makes your drinks creamier, smoother, and sweeter. It's also lactose free, cholesterol free, and trans fat free per serving! Rather than going through a large number of individual creamer packets, offer this flavored non-dairy coffee creamer shaker that contains approximately 170 (1 tsp.) servings per canister. 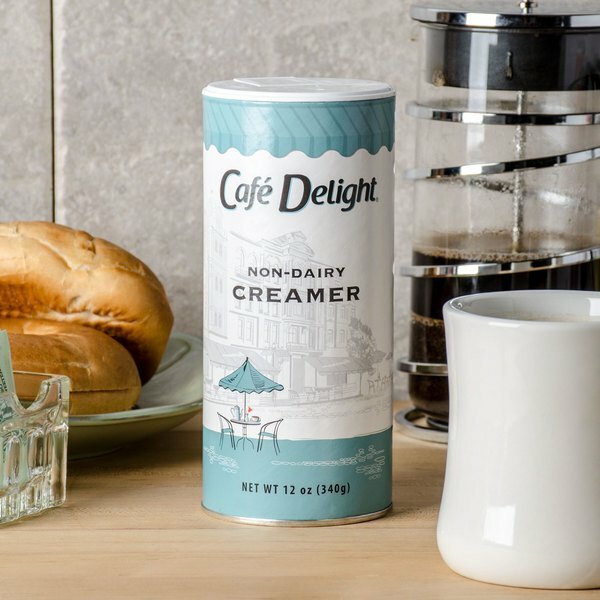 Featuring attractive packaging, this creamer shaker is great to have on hand anytime you're serving a fresh pot of coffee or tea! It can even add an extra creamy flavor to hot cocoa. Sweet and flavorful, this coffee creamer is a great addition to your business! If you are looking the best and least expensive coffee creamer you have found it. This stuff is insanely cheap! But on the other hand for the price it is is pretty good. Great price for these canisters! They stack well for storage and the flavor blends in well into our frozens. Opens easily and pours great, we never have an issue with it. A nice no flavor powdered creamer that is great for our events. No refrigeration required and excellent for our coffee station. The case has 24 shakers is a terrific value. I like this creamer bc it doesn’t clump, it’s fine and dislikes instantly. It’s definitely a product I would purchase again and again. I really recommend it! We've found that this creamer has a good taste and is affordable. We order it often for our office. We like the ease of ordering and having it shipped too. Good flavored non-dairy creamer to have at a coffee station. Good shaker and it provides a good, creamy appearance and taste to your coffee in the morning! I drink a lot of my teas and coffees with almond milk being that I’m lactose intolerant. This powdered creamer gives the drink the same boldness that you would have with regular milk. This creamer has rich texture and good flavor for my coffee. This creamer is good for last long and smells good this creamer is great to mixing with coffee , tea or hot chocolate. The flavored non-dairy powdered creamer is a great buy and perfect for our diner. The case allows for bulk buying the quality is great and the price is unbeatable. A flavored great non-diary powdered creamer in a very cool shaker canister. The price is great and they work great for our office break room. I like to have this non dairy creamer on hand all the time for all my coffee drinkers it's a middle of the road creamer every one seems to like. This creamer is pretty run of the mill. It will work to replace your everyday creamer and definitely helps when you cannot have dairy but it's nothing special. 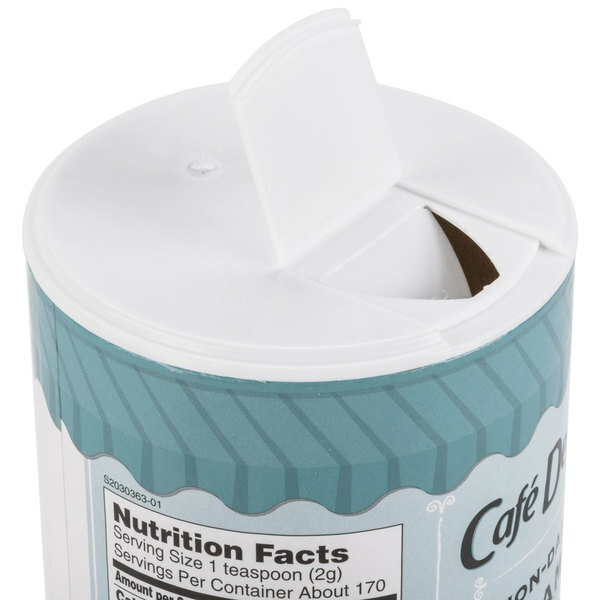 A great quality non-dairy powdered creamer shaker that is perfect for concession stands and coffee stations. The creamer dissolves easily to the coffee and is a great value. 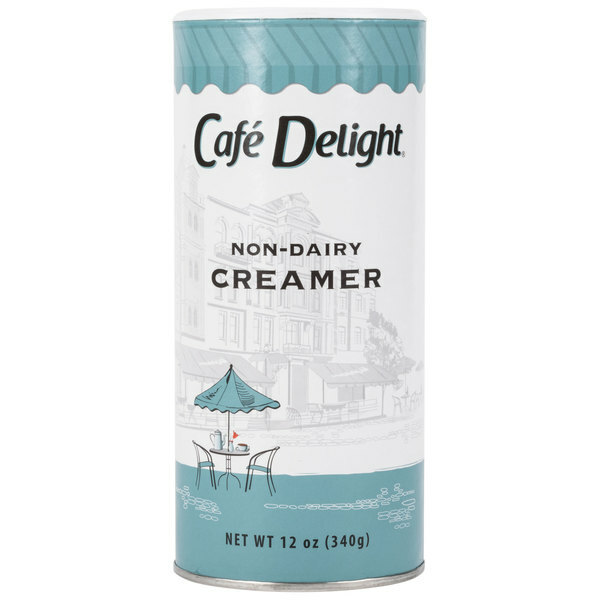 I was very surprised by how good this non-dairy creamer tasted. There is no substitute for the real thing, but if you're lactose intolerant, it's a solid alternative. This twelve ounce Flavored Non-dairy Powdered Creamer Shaker was delivered quickly and I appreciate the ability for rapid reordering!! Easy to use and store, and at such a great price. I would definitely reorder this creamer shaker. 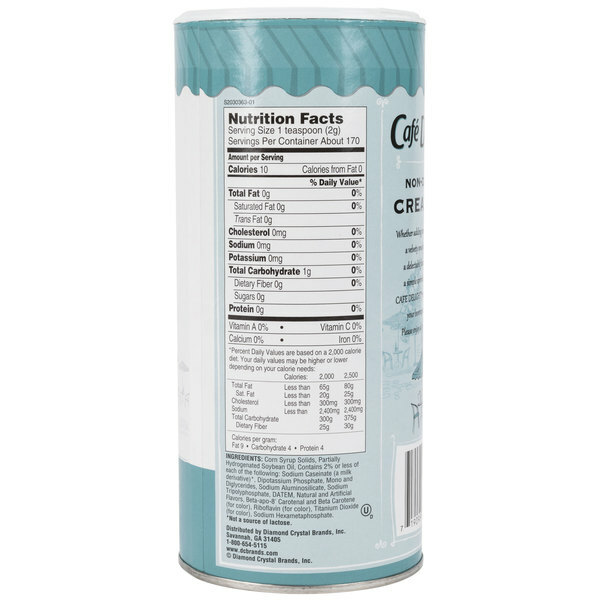 This non dairy powdered creamer is one of the best options for lactose intolerant people, it has the same taste as cream and is very easy on the stomach. A very well made product. Delicious flavor, excellent price, excellent service! A winning combination! This creamer is a customer favorite and will be a staple for us in the future.